Home / featured / Smart Phone / Top 10 Smartphone under 10000 / Top 10 Smartphone under 10000 in this December and also for 2019. Whenever we are going to the market for buying a smartphone, we are confused that which mobile is the best for us. Because there are a lot of smartphones available in the market in different company's. All companies give us their best features at the best price. In this topic, we discuss the Best smartphone under 10000 in this year and also for 2019. Today's popular smartphone manufacturers companies such as XIAOMI, HUAWEI, LENOVO, MOTOROLA & many more. Here is the list of top 10 Android smartphones under 10000 in India in different brands. These are the best combination of features, performance, and quality. Xiaomi Redmi Y2 is one of the best smartphones under 10000. 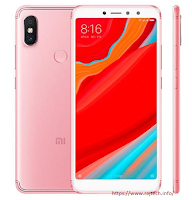 Xiaomi Redmi Y2 smartphone was launched in June 2018. This smartphone comes with a 5.99 inch IPS LCD capacitive multi-touch screen & it has 720 x 1440 pixels resolution display. The weight of the Xiaomi Redmi Y2 is 170g. It has dual SIM both is Nano SIM and dual standby. Xiaomi Redmi Y2 is powered by 2.0GHz Octa-core processor, Snapdragon 625. The phone comes with Android 8.1 Oreo. 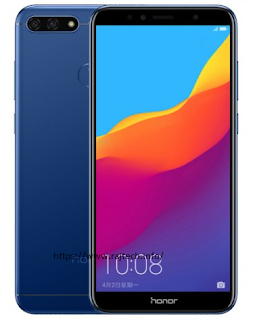 This smartphone packed 64GB / 32GB internal storage with 4GB / 3GB RAM it has also a dedicated slot for microSD, which can be expandable up to 256GB. Xiaomi Redmi Y2 has a dual rear camera 12 MP & 5 MP with LED flash & a 16 MP front camera with LED flash for the selfie. Sensor for this smartphone Fingerprint in rear side, accelerometer, gyro, proximity, and compass. Redmi Note 5 also the best smartphone under our range. 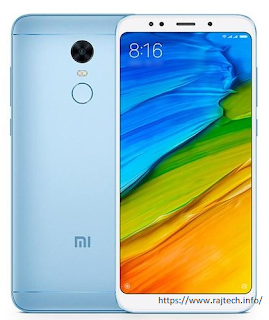 Xiaomi Redmi Note 5 smartphone was launched in February 2018. This smartphone comes with a 5.99 inch IPS LCD capacitive multi-touch screen & it has 1080 x 2160 pixels resolution display. The weight of the Xiaomi Redmi is 180g. It has Hybrid dual SIM, Nano SIM, and dual standby. Xiaomi Redmi Note 5 is powered by 2.0GHz Octa-core processor, Snapdragon 625. The phone comes with Android 7.1.2 Nougat, upgradable Android 8.1 Oreo. This smartphone packed 64GB / 32GB internal storage with 4GB / 3GB RAM it has no dedicated slot for microSD. Xiaomi Redmi Note 5 has a 12MP rear camera, with Dual LED flash, 5 MP front camera for the selfie. Sensor for this smartphone Fingerprint in rear side, accelerometer, gyro, proximity, and compass. This smartphone has Non-removable Li-Po 4000 mAh battery. Realme 1 also one of the best smartphones in between 10000. Realme 1 smartphone was launched in May 2018. This smartphone comes with a 6.00-inch IPS LCD capacitive multi-touch screen & it has1080 x 2160 pixels resolution display. The weight of the Realme 1 is very low only 155g. It is a dual SIM smartphone both is Nano SIM and dual standby. 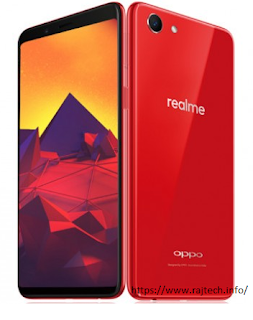 Realme 1 is powered by Octa-core (4x2.0GHz + 4x2.0GHz) processor, MediaTek MT6771 Helio P60. The phone comes with Android 8.1 Oreo. 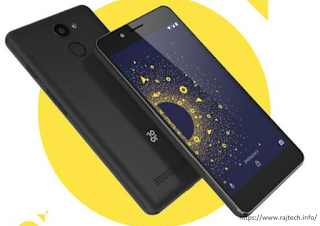 This smartphone packed 128GB / 64GB / 32GB internal storage with 6GB / 4GB / 3GB RAM, storage can be expandable up to 256GB through microSD it has dedicated slot. Realme 1 has a 13MP rear camera, with LED flash, 8 MP front camera for the selfie. Sensor for this smartphone accelerometer, gyro, proximity, and compass. This smartphone has Non-removable Li-Po 3410 mAh battery. Xiaomi Redmi 5 also the best smartphone under 10000 range. 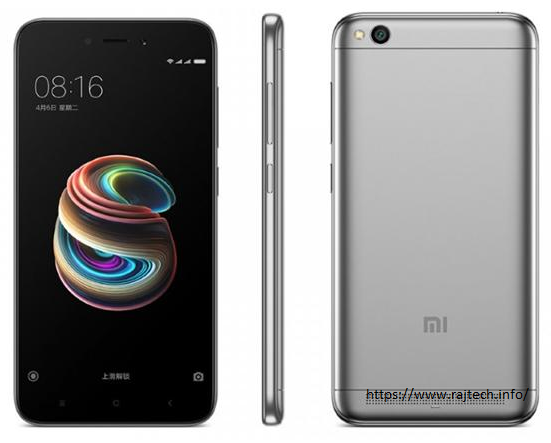 Xiaomi Redmi 5 smartphone was launched in December 2017. This smartphone comes with a 5.7 inch IPS LCD capacitive multi-touch screen & it has 720 x 1440 pixels resolution display. The weight of the Xiaomi Redmi 5 is 157g. It is a Hybrid dual SIM smartphone both is Nano SIM and dual standby. Xiaomi Redmi 5 is powered by 1.8 GHz Octa-core processor, Snapdragon 450. The phone comes with Android 7.1.2 Nougat. This smartphone packed 32GB / 16GB internal storage with 4/3GB / 2GB RAM. External storage can be expandable up to 128GB through microSD (SIM 2 slot). 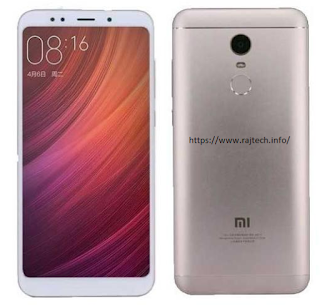 Xiaomi Redmi Note 5 has a 12MP rear camera, with LED flash, 5 MP front camera for the selfie. Sensor for this smartphone Fingerprint in rear side, accelerometer, gyro, proximity, and compass. This smartphone has Non-removable Li-Po 3300 mAh battery. Honor 7C also the best smartphone under 10000 range. Honor 7C smartphone was launched in March 2018. This smartphone comes with a 5.99 inch IPS LCD capacitive multi-touch screen & it has 720 x 1440 pixels resolution display. The weight of the Honor 7C is 164g. It is a dual SIM smartphone both is Nano SIM and dual standby. Honor 7C is powered by 1.8 GHz Octa-core processor, Snapdragon 450. The phone comes with Android 8.0 Oreo. This smartphone packed 64GB / 32GB internal storage with 4GB / 3GB RAM. External storage can be expandable up to 256 GB through microSD (Dedicated slot). Honor 7C has a dule13 MP & 2MP rear camera, with LED flash, 8 MP front camera with LED flash for the selfie. Sensor for this smartphone Fingerprint in rear side, accelerometer, gyro, proximity, and compass. This smartphone has Non-removable Li-Po 3000 mAh battery. Moto G5 Plus also the best smartphone in between 10000 range. 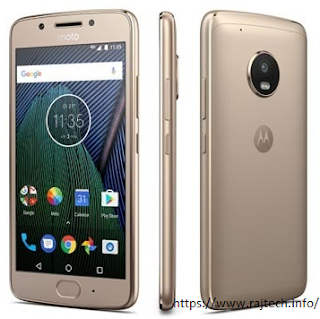 Moto G5 Plus smartphone was launched in February 2017. This smartphone comes with a 5.20-inch IPS LCD capacitive multi-touch screen & it has 1080 x 1920 pixels resolution display. The weight of the Moto G5 Plus is 155g. It is a dual SIM smartphone both is Nano SIM and dual standby. Moto G5 Plus is powered by 2.0 GHz Octa-core processor, Snapdragon 625. The phone comes with Android 7.0 Nougat, upgradable to Android 8.0 Oreo. This smartphone packed 64GB / 32GB internal storage with 2GB/ 3GB / 4GB RAM. External storage can be expandable up to 256 GB through microSD (Dedicated slot). Moto G5 Plus has a 12 MP rear camera, with dual LED dual-tone flash, a 5MP front camera for the selfie. Sensor for this smartphone Fingerprint in the front side, accelerometer, gyro, proximity, and compass. This smartphone has Non-removable Li-Po 3000 mAh battery. Xiaomi Redmi Y1 also the best smartphone in the range of 10000. Xiaomi Redmi Y1 smartphone was launched in November 2017. This smartphone comes with a 5.50-inch IPS LCD capacitive multi-touch screen & it has 720 x 1280 pixels resolution display. The weight of the Xiaomi Redmi Y1 is 153g. It is a dual SIM smartphone both is Nano SIM and dual standby. Xiaomi Redmi Y1 is powered by 1.40 GHz Octa-core processor, Snapdragon 435. The phone comes with Android 7.0 Nougat. This smartphone packed 64GB / 32GB internal storage with 4GB/ 3GB RAM. External storage can be expandable up to 256 GB through microSD (Dedicated slot). Xiaomi Redmi Y1 has a 13 MP rear camera, with LED dual flash & a 16MP front camera for the selfie. Sensor for this smartphone Fingerprint in the rear side, accelerometer, gyro, proximity, and compass. This smartphone has Non-removable Li-Po 3080 mAh battery. Honor 7A also one of the best smartphones in the range of 10000. 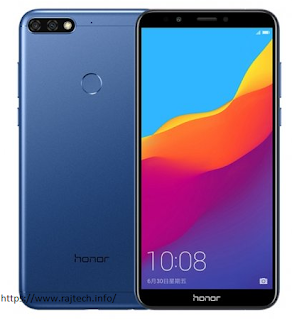 Honor 7A smartphone was launched in April 2018. This smartphone comes with a 5.70-inch IPS LCD capacitive multi-touch screen & it has 720 x 1440 pixels resolution display. The weight of the Honor 7A is 150g. It is a dual SIM smartphone both is Nano SIM and dual standby. Honor 7A is powered by Octa-core (4x1.4 GHz + 4x1.1 GHz) processor, Snapdragon 430. The phone comes with Android 8.0 Oreo. This smartphone packed 32GB / 16GB internal storage with 2GB/ 3GB RAM. External storage can be expandable up to 256 GB through microSD (Dedicated slot). Honor 7A has dual 13 MP & 2 MP rear camera with LED flash & an 8MP front camera for the selfie. Sensor for this smartphone Fingerprint in the rear side, accelerometer, gyro, proximity, and compass. This smartphone has Non-removable Li-Po 3000 mAh battery. Xiaomi Redmi 5A also one of the best smartphones in the range of 10000. Xiaomi Redmi 5A smartphone was launched in October 2017. This smartphone comes with a 5.00-inch IPS LCD capacitive multi-touch screen & it has 720 x 1280 pixels resolution display. The weight of the Xiaomi Redmi 5A is 137g. It is a dual SIM smartphone both is Nano SIM and dual standby. 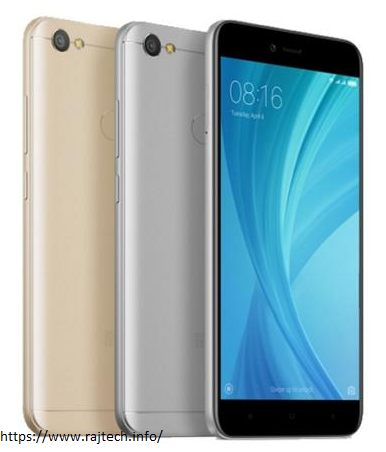 Xiaomi Redmi 5A is powered by 1.4GHz Octa-core processor, Snapdragon 425. The phone comes with Android 7.1.2 Nougat. This smartphone packed 32GB / 16GB internal storage with 3GB/ 2GB RAM. External storage can be expandable up to 256 GB through microSD (Dedicated slot). Xiaomi Redmi 5A has a 13 MP & 2 MP rear camera with LED flash & a 5MP front camera for the selfie. Sensor for this smartphone accelerometer, proximity. This smartphone has Non-removable Li-Po 3000 mAh battery. 10or. D also one of the best smartphones in the range of 10000. 10or. D smartphone was launched in December 2017. This smartphone comes with a 5.20-inch IPS LCD capacitive multi-touch screen & it has 720 x 1280 pixels resolution display. The weight of the Xiaomi 10or. D is 137g. It is a dual SIM smartphone both is Nano SIM and dual standby. 10or. D is powered by a 1.4GHz Quad-core processor. The phone comes with Android 7.1.2 Nougat. This smartphone packed 32GB internal storage with 3GB RAM. External storage can be expandable up to 256 GB through microSD (Dedicated slot). 10or. D has a 13 MP rear camera with LED flash & a 5MP front camera for the selfie. Sensor for this smartphone accelerometer, proximity, gyro. This smartphone has Non-removable Li-Po 3500 mAh battery.